Includes phone and battery only. No cables or sim card included. Cellular service locked to Verizon. Clean ESN. 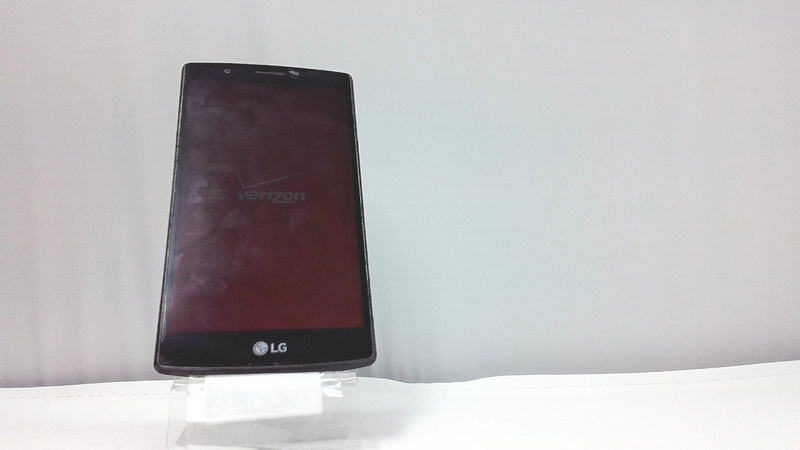 LG bar style smartphone in white/black. There is moderate scuffs/dings on the housing. Used and in working condition. The LG G4 The drive to create an exceptional visual experience has brought us to this: A ground-breaking camera and display, and cutting-edge design and fabrication, all in the palm of your hand. In creating the LG G4, LG designers took inspiration from everywhere to create an ergonomic, gently contoured device crafted from timeless materials. As a result, the smartphone has never looked, or felt, so good. Photographers and amateurs have something in common: the LG G4. With its f/1.8 low-light lens, Manual Mode, Optical Image Stabilization, Laser Autofocus, and high-res image sensors, the smartphone is finally getting a pro-grade upgrade. The 5.5â€� IPS Quantum display on the LG G4 is brighter, more colorful, and has more contrast than ever before. 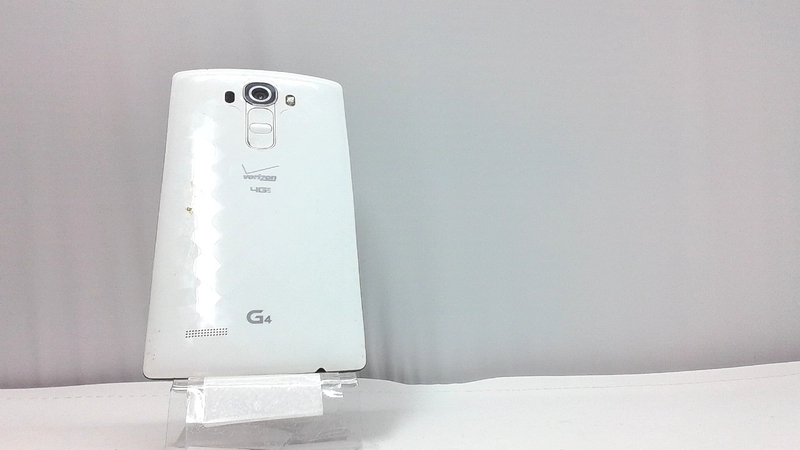 Itâ€™s our boldest and most brilliant yet, kind of like the LG G4 itself.